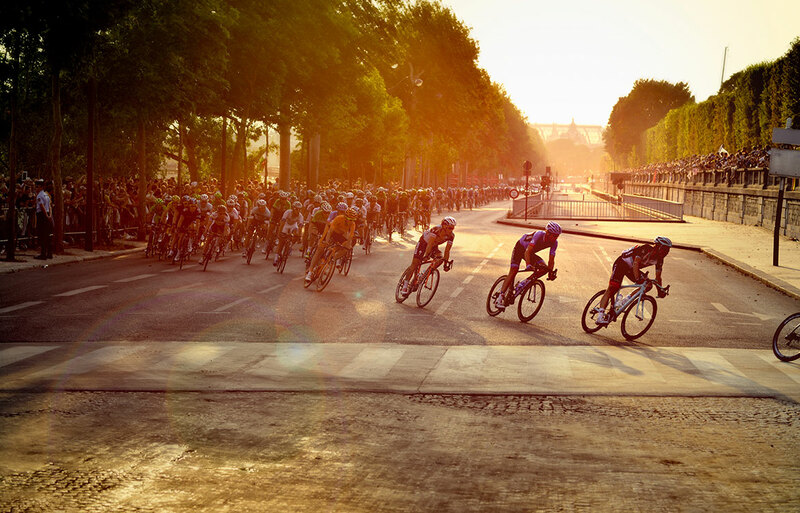 The premier event for any cycling season, the Tour de France is perhaps the only race that can steal the headlines a whole nine months ahead of its first stage. With the release of the route though, now’s the time to take a note, and start whetting your appetite for world cycling's biggest showdown. With this in mind, we’ve decided to take a sneak preview of the 2019 route, looking at everything from the clothing the pros are wearing to the bikes they are using this July. 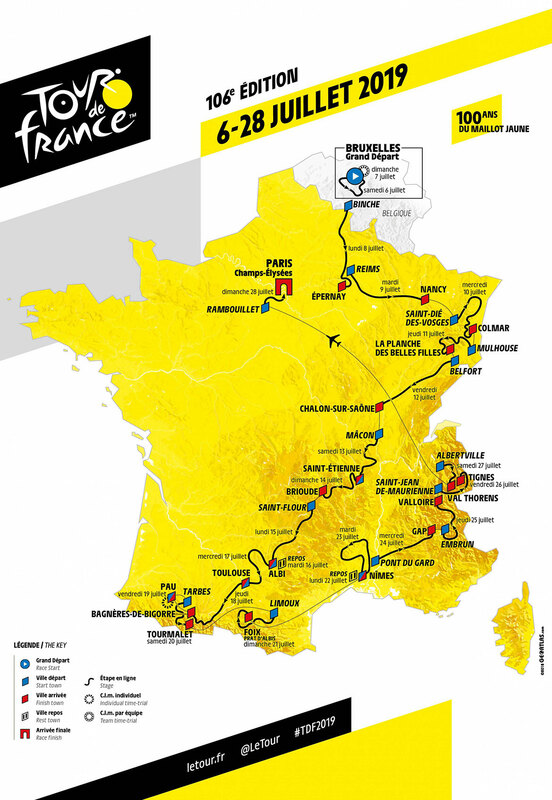 3,460km, seven flat stages, seven mountain stages, and five mountain top finishes for the 2019 Tour de France doesn’t sound anything particularly out of the ordinary for a Grand Tour route, but what is definitely noteworthy about the 2019 parcours is the number of times the riders will go above 2,000m in a very short space of time towards the end of the race. At an altitude of 2,000m the oxygen available will be nearly a quarter less than at sea level, whilst at the top of the Col de l’Iseran at 2,770m on stage 19 the riders will have 30% less oxygen with which to feed their muscles. Remarkably, the finish of that stage in the ski station of Tignes will be the fifth mountain over 2,000m over which the riders will have raced in succession. The Columbian riders like Quintana and Bernal, who are used to high altitude efforts, must be rubbing their hands together in glee. Teams would do well to consider eschewing their regular Mallorcan training camp for Everest base camp instead perhaps. 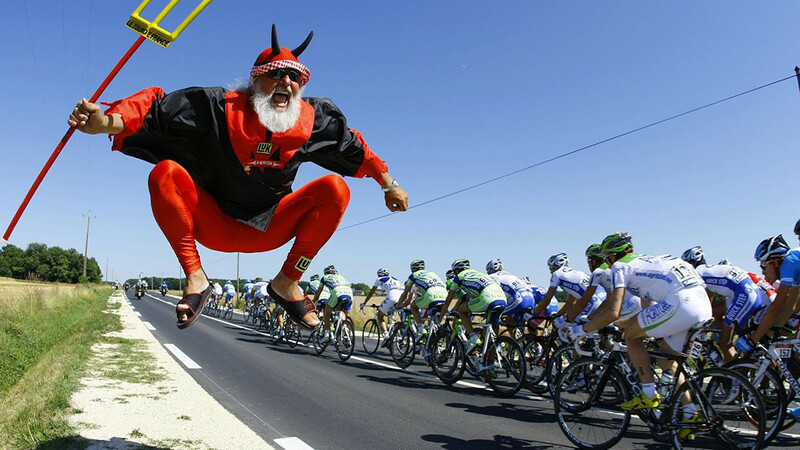 Its O2, not Di2 that will decide the winner of the 2019 Tour de France. The first decisive stage is likely to be the 27km team time trial in Belgium on day two. The gaps produced are unlikely to be large, but it whichever team triumphs here will have three or four long days defending the yellow jersey as the major General Classification teams keep their powder dry. Stage six’s first mountain top finish of 2019 atop La Planche des Belles Filles wouldn’t normally trouble the GC contenders, even coming at the end of a shortish and decidedly lumpy stage. However, the in their continuing quest to add interest to the race the organisers have extended the finish line one kilometre beyond its usual place in order to include a very steep gravel road, with gradients of over 20%. All of a sudden the potential for accident or upset seems rather more likely, and the GC racers will be glad to have this stage safely behind them. The amuse bouche of La Planche des Belle Filles is followed by the longest stage of the race at 230km in stage seven, and will in all likelihood result in the third sprint finish after stages one and four. However, stages eight and nine include such a prodigious amount of ascent that the sprinters won’t be anywhere to be seen, despite not being officially classified as mountain stages. Stage eight, in particular, includes 3800m of climbing in 199km, with barely a flat stretch of road to be seen. There is certainly potential here for anyone not feeling at the top of their game to lose time, and those reaching the day eleven rest day intact will have good reason to feel pleased with themselves. The days either side of the rest day should allow the sprinters to stretch their legs, but given the preceding few days their success could well rely just as much on how well their lead out train came through the hills as their own power. Of course, the multi-talented Peter Sagan could well profit on both of these stages with his solo wheel-surfing sprinting ability. If a breakaway can get away on stage twelve then they stand a reasonable chance of staying away, with the day’s two climbs in the second half, and a 30km descent to the finish line. It would perhaps take a strong climber some way down the leader board to be allowed away to pull off such a feat, and a cagey GC ride is the more likely outcome of this hors d’oeuvres stage into Bagneres de Bigorre. 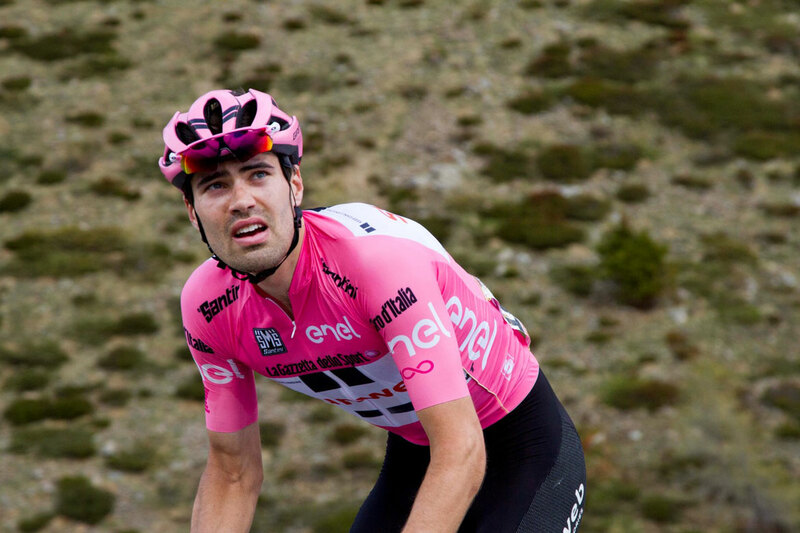 Tom Dumoulin has confirmed that he is intending to ride the 2019 Tour de France with Sunweb, and although recent years have proved that he can ride big mountains extremely well indeed, he is still likely to rue the fact that the 27km individual time trial of stage 13 is the only one of the race. As many of the modern day pretenders to the yellow jersey have proved themselves also very capable on a TT bike it will be a surprise if he can make decisive gains over them on this course, although there is bound to be a bit of a top 10 reshuffle to set the stage beautifully for the final week. It’s not often that a grand tour stage with a summit finish on top of the Tourmalet at 2,115m can be described as only an entrée, but given the fact that its only 117km long, and preceded by just the modest Col du Soulor it seems reasonable, especially given that the main protagonists will likely have one eye on the final three days in the alps, and another on the gruelling looking stage 15. A climber’s breakaway may well be let fly, whilst the team leaders watch each other guardedly over the 19km of 7.4% ascent. Alternatively, a strong team with a fresh feeling GC rider could push the pace and see if anyone looks to be suffering, knowing that there is potential for big time gaps at the top. 4,700m of climbing over 185km is a big day out by anyone’s standards, and although the actual ultimate elevation of the largely new-to-the-tour cols on stage 15 isn’t ever that high, the cumulative effect of the day will give a very interesting flavour to the 12km climb up to the summit finish at Foix. The following day’s rest in Nimes will be extremely welcome, as will the flat stage 16 where the tension is likely to come from the cat and mouse game played out between the publicity –seeking breakaway, keen for their last chance of airtime for themselves and their team, and the sprinter’s, whilst the general classification riders are hopefully shepherded to the line safely in the bunch. If the breakaway is caught and there is a sprint for the line then look out for a few wildcards who fancy their chances against the depleted sprinters. Stage 18 is a long, brutal 207km battle starting with the Col de Vars (2109m), then climbing the barren side of the Col d’Izoard (2,360m) before a picturesque descent into the town of Briancon. 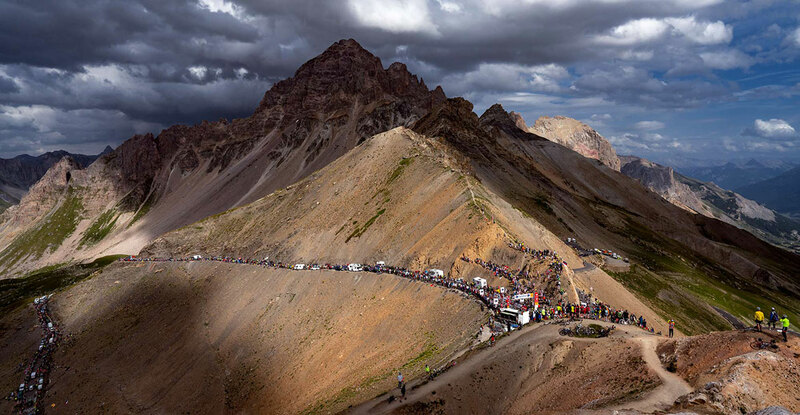 From here the riders have virtually 40km of steadily steepening uphill all the way to the rarefied air at the summit of the Col du Galibier at 2,642m. The spectacular 18km descent into the finish at Valloire could see tired riders making mistakes, or perhaps capitalising on those of their rivals. By way of contrast, stages 19 and 20 are relatively short by traditional tour standards at 123km and 131km respectively. Stage 19 kicks off with an attritional 72km drag up to the village of Bonneval–sur-Arc, before the 13km climb up to the Col de l’Iseran via its steep southern side leaves the riders with just the 28km plummet down the other side to catch their breath before the final showdown up to the summit finish in Tignes at 2,113m. The big question for those in contention will be when, and indeed if, to make a break for it. Too soon and the potential for overreaching and losing time is huge, whilst leaving to too late allows the other contenders to hang on the wheel and not lose time. The third and final piece in race director Prudhomme’s high altitude triptych, stage 20, begins with the sweeping bends of the Cormet de Roseland up to 1,968m before ending up in the town of Moutiers after 95km of racing. All that remains is the simple matter of 36km and 1,826m of climbing up to finish in Val Thorens at 2,365m. Whilst the climb itself is not steep at an average of 5.2%, anyone with aspirations of yellow in Paris will do well to have the protection of domestiques around him as the gradient means that the pace could well be very high. Quite how many teammates, and indeed team leaders, will have anything left after the previous days and weeks remains to be seen. With both Thomas and Froome confirmed as riding the Tour de France for Team Sky, the traditionally strong Sky super-domestiques will undoubtedly be pressed into service here, with the Columbian Egan Bernal likely to prove very valuable. And so, whoever emerges from the high altitude battlezone of the French Alps with the lead has only the ceremonial cobbles of the Champs-Elysees on Sunday 28th July separating him from victory and a glass or two of Champagne. Clearly, Team Sky are the team to beat. 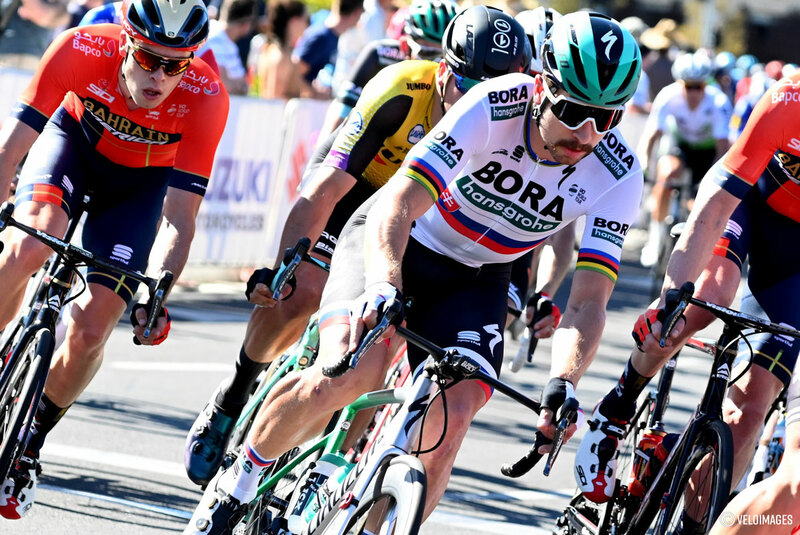 Having dominated the race over the last decade, with the likes of Bradley Wiggins, Chris Froome and most recently Geraint Thomas being crowned victors in Paris, all eyes will be on the boys in blue as they tackle the three week race for the final time. 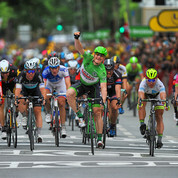 Chris Froome’s name is going to be bandied about, and as a proven all-rounder, he’s a sound choice, but not a certainty. 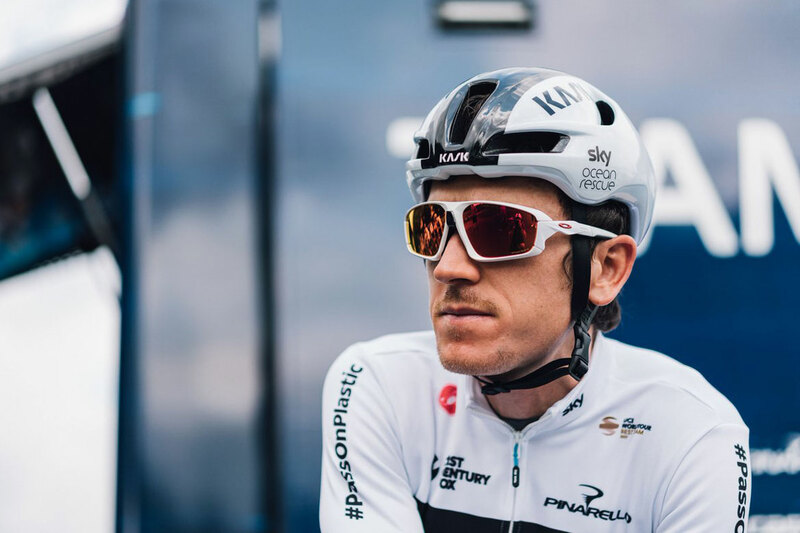 With last year’s Tour de France seeing him crack and take up domestique duties for Geraint, victory in 2019 is far from a certainty. 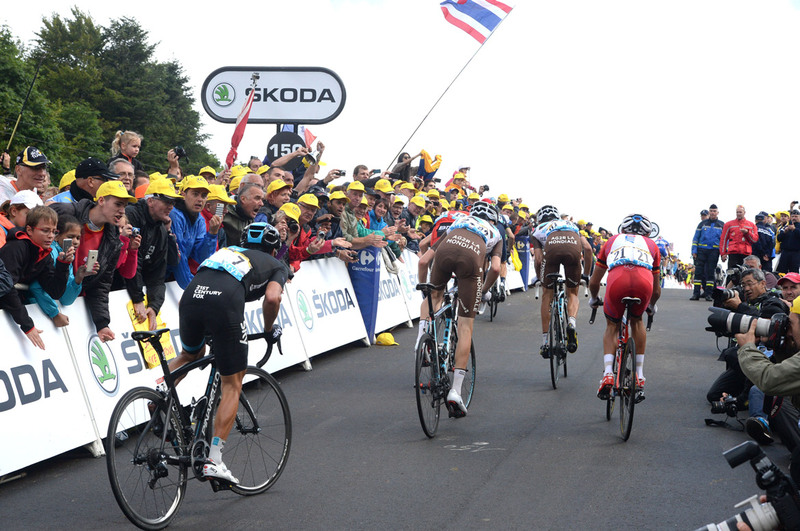 A smattering of iconic mountains will definitely play into Team Sky's hands, with two proven GC cards now to play. Team Sky will take comfort in the team and individual time trials to get the upper hand on the GC contenders who are more suited to the climbs. Two of the finest time-trialists of their generation, and with the much-lauded range of Pinarello bikes to choose from, both Froome and Thomas can be sure to close some gaps late on and make up for any time lost on previous stages. 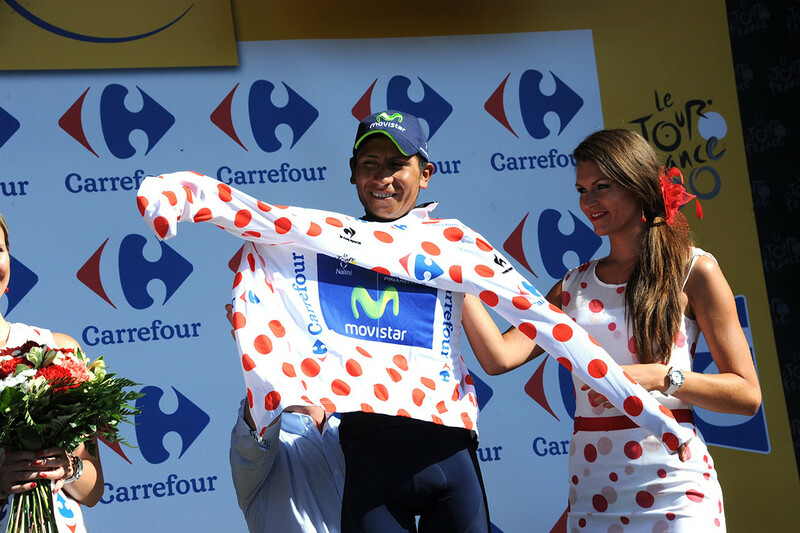 Although quiet of late, Movistar’s Nairo Quintana will be looking to shrug off some relatively muted showings in recent Tours. The heavy weighting of mountains in the latter half of the 2019 Tour de France is sure to please the Colombian, but, with such a long way to get there on the flat, his team will have to offer him far better protection and show much greater awareness than they’ve displayed on such days previously. 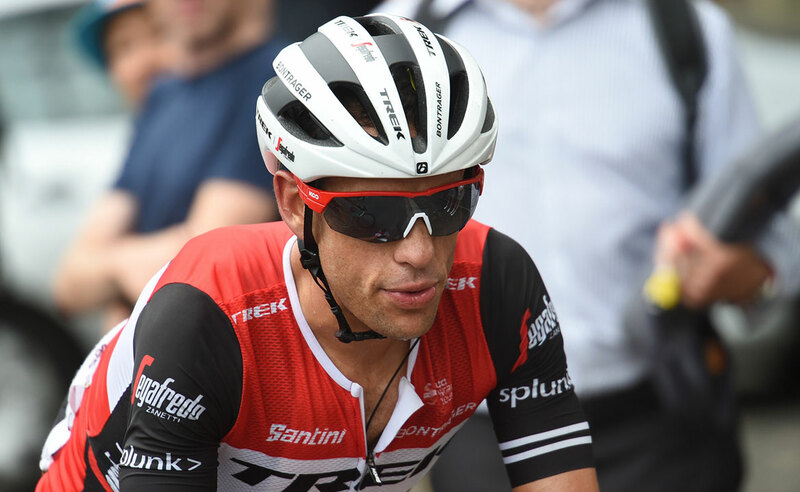 With a new team and a new found motivation Richie Porte will be looking to put in a strong showing. The Trek Segafredo rider is yet to really prove himself over a three-week race but the punchy Tasmanian will be an ever-present threat should he arrive in the final week with good form. 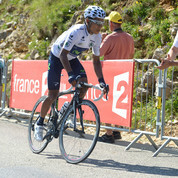 A strong time trialist and climber, things could get interesting once the peloton hits the alps in the final week. A nasty crash over the Roubaix cobbles last year meant Rigerberto Uran had to abandon the 2018 Tour. 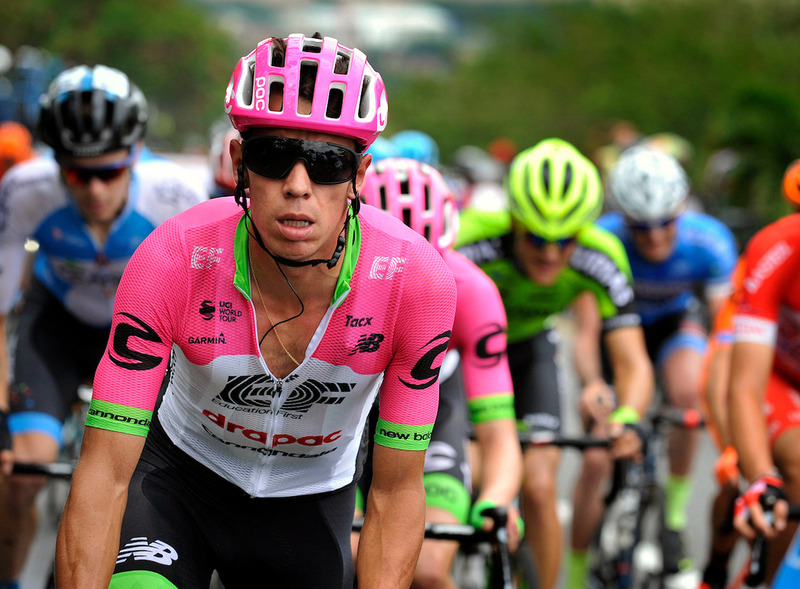 Looking to make amends in 2019, the Colombian climber will be looking to better his second place in the 2017 edition of the race. 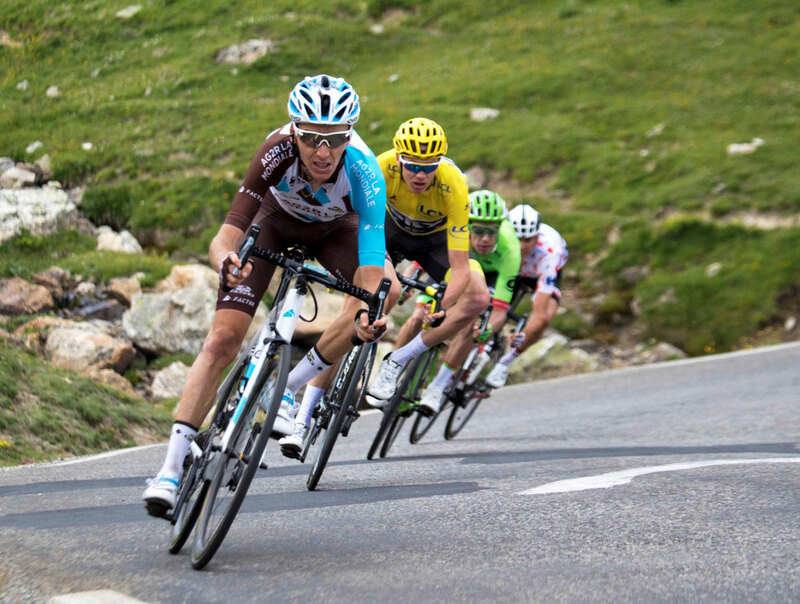 French interest and hopes resting on the shoulders of Romain Bardet, the climbing specialist and podium finisher will be hoping to take AG2R La Mondiale to victory at last on home soil. British interest should spur on Adam Yates, especially after his brother, Simon, set the bar high last year by winning the Vuelta a Espana. Armed with one of the most formidable lightweight climbing machines in the pro peloton in the Scott Addict RC Premium, Yates is sure to be a force to be reckoned with come the mountain stages. Not gunning for yellow but going for green, Peter Sagan is sure to be looking for a record breaking seventh points classification win. After losing his World Championship crown, green is sure to be the Slovak’s main goal in 2019. With the Venge due an exciting redesign in 2018, it'll be fascinating to see what Specialized have lined-up for Sagan's tilt at the green jersey. A man who had a less than ideal 2018, Marcel Kittel will be looking to challenge Sagan for green. Although not as much of an all-rounder as Peter, what Marcel loses to the Slovak on the hillier stages he definitely makes up for with outright speed on the flat. About Tim Russon: Tim loves anywhere with long, hot climbs and rides in Europe as often as possible. He lives on the edge of the Peak District, so has to make do with short, cold climbs instead for most of the year.